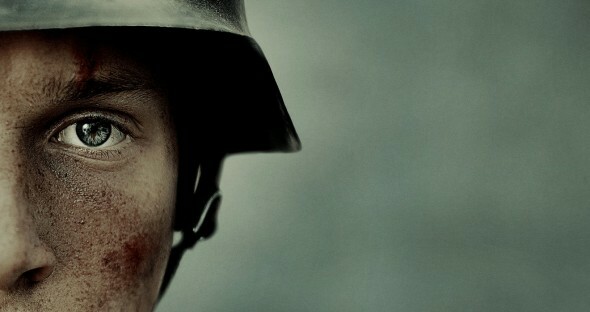 Land of Mine is almost impossible to watch. Not because it’s bad. On the contrary, it’s an amazingly crafted film that boasts an incredible screenplay and cast. It’s hard to watch because writer/director Martin Zandvliet’s film is so intense it leaves the viewer on constant edge. Roland Møller is Sargent Carl Rasmussen, a Danish soldier tasked with overseeing fourteen German POWs at the end of World War II as they clear a beach in Denmark of land mines. This violation of international law is a stain on Denmark’s history that Zandvliet brings to light. The thought of grown men forced to crawl across beaches searching cautiously for land mines is repellant enough. It’s made worse by the fact that many of the POWs were teenage boys. Zandvliet’s scripts balances the emotions of the situation well, and Møller’s performance brilliantly captures the feelings of the Danish people. There is little sympathy for the German POWs. If anything, this is seen as a just punishment for the crimes committed by Germany during the war. However, the audience sees the soldiers for what they are: children who simply want to go home. As the film proceeds, tensions mount. The history of the situation is brutal and bleak, so as the audience gets to know the characters, it’s impossible not to sympathize and worry for their safety with each moment that passes. The mental torture inflicted on the prisoners is felt by the audience as we’re forced to watch their slow advance across the beach. Moments of quiet could be rent apart at any moment. It’s nearly unbearable. However, Zandvliet knows when to give the audience a break, and the scenes on the beach are countered by more lighthearted moments: a soccer game, the boys talking about their futures, and interactions between Rasmussen and the boys that show his shifting emotions. Land of Mine is difficult viewing, but as Zandvliet brings empathy and compassion to a dark moment in history, it becomes equally vital.